1 – Which underdog do you think will advance past round one? IAN SHEPPARD: The New York Islanders. The Isles have the higher seed so I guess it wouldn’t technically be an upset but with Pittsburgh’s playoff and cup experience, I see this as an upset. Before Game 1 I believed the Isle would find a way to upset the Penguins. Everything about their season so far has made me believe they are capable of more than a first-round exit. The Penguins have always been that team that finds a way to make a run but to me, if any team has a shot to upset them in the first round it’s New York. The Isles won Game 1 in OT and were outshot 44-33 so I think it will be a long series but I see New York coming out on top. WYATT ZIEGER: Everyone loves a first-round upset. I suppose the underdog list contains; NYI, CAR, COL, TML, DAL and CBJ. I’d love to pick a number of these teams, especially considering most of them won game 1, but the least surprising upset to me would be out West. The Dallas Stars have in my mind the best chance of pulling an upset if game one proved anything its that Bishop, can outduel Rinne if need be. Nashville and Dallas play near-identical games but the Stars have the edge when it comes to firepower. D’ still favours the Preds but Calder hopeful Miro Heiskanen proved that the Predators aren’t the only team with a defenseman that can take over a game. These matchups are why I love NHL playoff hockey, anything can happen and the tournament is always wide open. TYLER YAREMCHUK: Is Vegas considered an upset since they are the lower seed? I would like to say them, or Pittsburgh for that matter, but those don’t feel like true upsets to me given those two teams recent history of playoff success. My answer will be the Maple Leafs. Speed and skill are the way the new NHL is played and in game one, you saw that on full display. When things shift back to Toronto, Mike Babcock can just roll Mitch Marner out against Zdeno Chara and watch his young winger fly around the ageing d-man. Game one allowed them to grab home-ice advantage, and I expect the Leafs to take advantage of that. 2 – Who was the most effective trade deadline pickup? IAN SHEPPARD: It’s tough to say this early into the playoffs. That’s where I really measure which moves worked best. You could the flurry of trades made by Columbus were the best, with them sneaking into the playoffs and winning Game 1 against Tampa. But I’ll go with a bit of a dark horse and say Jake Muzzin. That’s right Jake Muzzin! Why you ask? 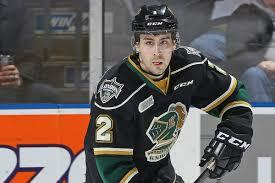 Well in Game 1 for Toronto he played just over 20 minutes and notched one assist, two hits and one block. So in an early playoff so far I’ll go with Muzzin, but I assume my answer will change the deeper the postseason goes. 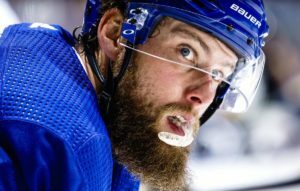 WYATT ZIEGER: With his team ahead 1-0 over the Bruins, things are looking pretty okay for Toronto’s Jake Muzzin. 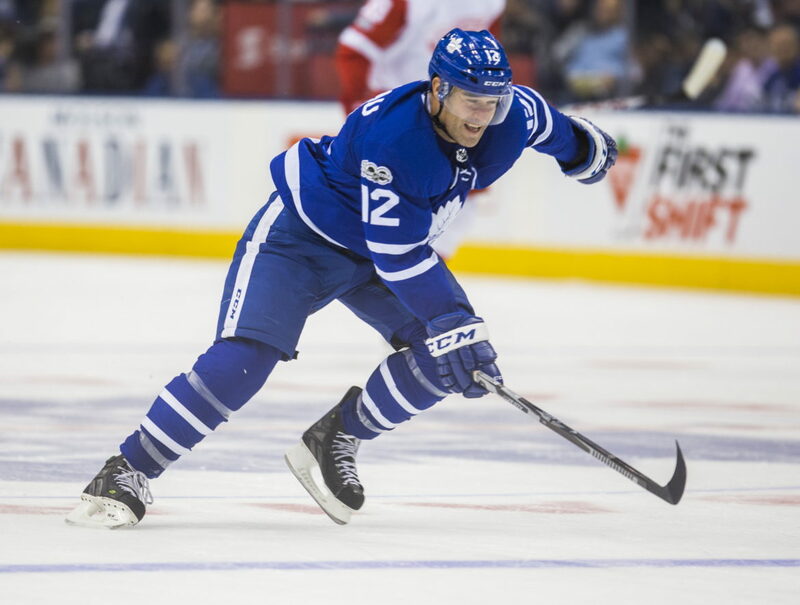 He’s been as advertised for the Leafs and even picked up an assist in the W. Muzzin was severely underrated on the Kings and now being in the centre of the universe, on the biggest stage, the casual fan is starting to realize how good he really is. I had this weird itch with all the hate and underdog talk that Toronto would come out swinging and maybe stun the Bruins, good start so far. If a ‘Cinderella’ story is unfolding, it’ll be the backend of Toronto that’ll need to keep their game up. TYLER YAREMCHUK: It’s Mark Stone! He notched a pair in the Golden Knight’s playoff opener but if you put that aside, I still think he’s been the best deadline pickup. Vegas got themselves a true top line winger and can afford to put him on their newly formed second line. He’s either going to get easier matchups if the other team focuses on Marchessault-Karlsson-Smith or he’ll create easier matchups for the teams’ top line. The impact he’ll have on their powerplay is massive as well. IAN SHEPPARD: The obvious answer is the Blackhawks moving up from number 12 to three. But I’m going to say the Rangers. 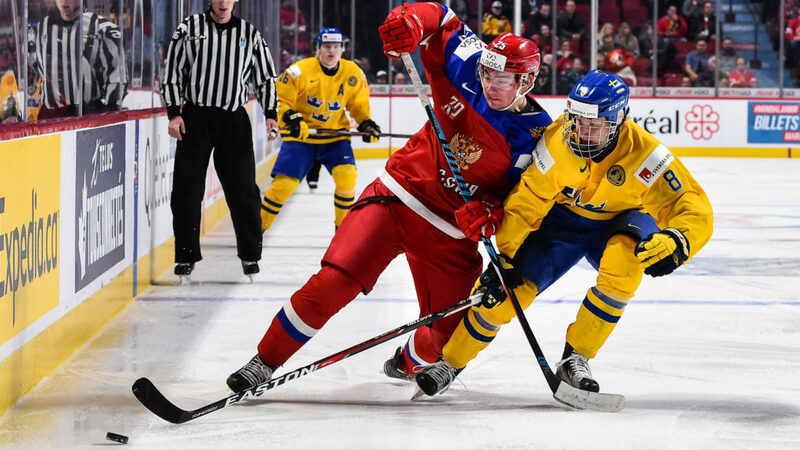 They moved up four spots just like the Devils but they’ll land Kaapo Kakko assuming the Devils select Jack Hughes. 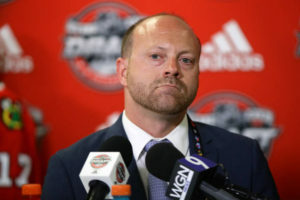 Chicago will still end up with a high-quality player at three, but the Rangers landing a player like Kakko when they could have been selecting 6th overall is a huge steal. WYATT ZIEGER: This is a tough question but I’m going to look down the road and go with the Chicago Blackhawks. They jumped up nine spots into the #3 position which was the biggest leap of any lottery winner. If everything goes according to script they’ll have their choice of Byram, Dach or Podkolzin. The latter appears to be the most likely based off draft rankings but it’s hard to go wrong with any of the three. The most important part of all of this is that Chicago a team pushed against the cap is likely going to get a player that can jump into their lineup next season for cheap. But now the hard part is who to select. 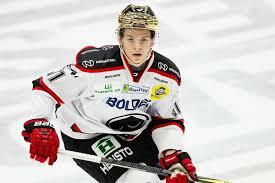 Bowen Byram a LHD could pair with last years top selection Boqvist’s for years to come, Ryan Getzlaf 2.0, in Kirby Dach, or the elite scoring Russian winger, Vasili Podkolzin. Chicago has a good problem to have and that’s why they’re my biggest winner. TYLER YAREMCHUK: You could obviously make a case for all three of these teams because winning the lottery is sweet no matter what. But I will also say the Chicago Blackhawks. 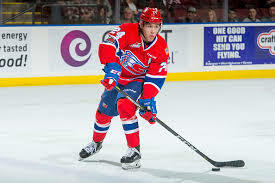 I think Bowen Byram is going to be a true top-pairing defenseman in the mould of Morgan Reilly, a fellow WHL product. 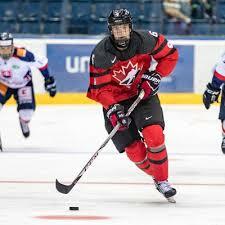 He’s dynamic with the puck, has a smooth stride, and can control the game from the backend. Moving up from 12 to grab a player like Byram is massive. Well, that was a straight up snoozefest up until around 2:00 pm eastern time. I was handling the behind the scenes duties for TSN 1260 and I spent most of my day just staring blankly at my main Tweetdeck column. There weren’t even any exciting rumours to keep track of either. It was just a slow day. The Below the Ice crew brings you NHL: 31 for 31. The trip through the Central Division takes a stop in the lone star state of Texas, as we take a look at the Dallas Stars. 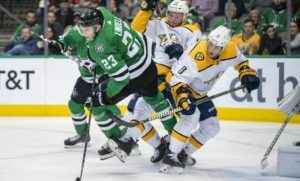 The 2017-18 season was supposed to be a bounce back year for the Stars after finishing 11th in the Western Conference with a record of 34-37-11 in 2016-17. While the Stars did improve last season finishing with a record of 42-32-8, the Stars still missed the playoffs by three points finishing sixth in the division and 10th in the conference. Much of Dallas’ woes came when playing away from the American Airlines Center, posting a record of 16-20-5 away from home, compared to their home record of 26-12-3. Dallas made some big moves last off-season. They acquired the negotiation rights to goaltender Ben Bishop in exchange for a fourth-round pick and promptly signed him to a six-year deal with a 4.1967 AAV. Dallas also acquired defenseman Marc Methot from the Vegas Golden Knights in exchange for a second-round pick in 2020 and prospect Dylan Ferguson. The Stars were lead by the usual suspects of, Jamie Benn and Tyler Seguin who had 79 and 78 points respectively. John Klingberg had a career year on defense pitching in 67 points. New comer Alex Radulov had a career year as he had 72 points improving from the 62 he had in Montreal in 2016-17. Dallas’ two big problems were scoring depth and injuries. Aside from Benn, Seguin, Radulov and Klingberg, no other Stars player had more than 35 points last season. This includes Jason Spezza, who only was able to muster 26 points last year. Martin Hanzel suffered from both a lack of scoring and injuries last season. Hanzel suffered back problems all season, limiting him to 38 games and 10 points. Hanzel underwent spinal fusion surgery back in March and will possibly be back by November. Ben Bishop was also injured on and off throughout the year limiting him to just 53 games last season. April 13: Head Coach Ken Hitchcock announces retirement from coaching in the NHL. May 4: Stars name Jim Montgomery new head coach. May 19: Assistant Coach Rick Wilson announces retirement. Dallas addressed some much needed scoring depth needs this season. Signing Valeri Nichushkin, Dallas’ former first round pick in 2013 looks as if he will slat into the second or third line. Nichushkin spent the last the last two seasons in the KHL honing his game as many labeled him a bust after his first three seasons in the NHL. The Stars also signed Blake Comeau in free agency. Comeau played the last three seasons with Colorado where he has averaged around 30 points a season. Filling right into the mold of Dallas’ secondary scoring being unable to eclipse 35 points. However Comeau is essentially replacing Antoine Roussel, who signed with Vancouver in free agency. Comeau is more skilled than Roussel so he should be able add more scoring help than Roussel was able to muster. 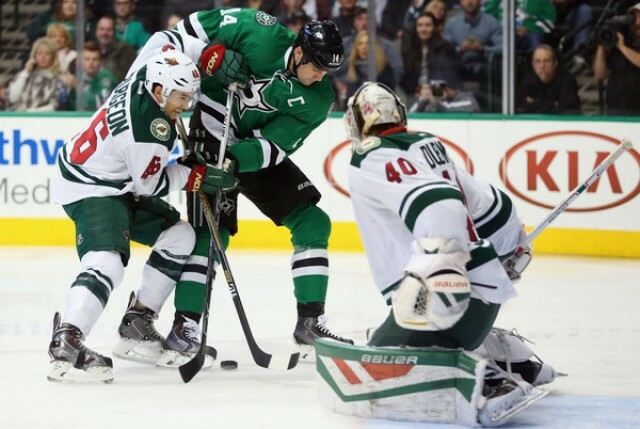 Dallas’ finished off their signings by bringing in Anton Khodobin on a two-year deal. Khodobin is a very reliable back- up, so if Bishop does happen to get hurt again, Khodobin should fill in nicely. Khodobin played the last two years with the Boston Bruins backing up Tukka Rask. However Dallas got weaker on the defensive side of the puck by losing Dan Hamhuis to Nashville in free agency. 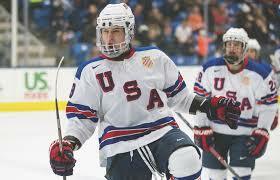 Unless one of the Stars prospects is able to make the jump their will be a hole on defense. With a hole on Dallas’ blue-line, Miro Heiskenen is poised to make a big impact in the Stars line-up this year. 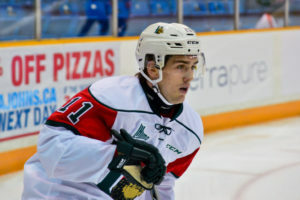 Heiskenen was the third overall pick in the 2017 draft and is known for his smooth skating, strong two-way game and puck handling skills. 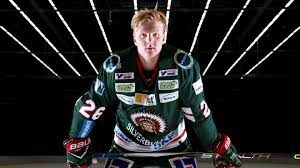 So far throughout the off-season, Heiskenen has been praised for his maturity on and off of the ice by General Manager Nill. This should see him jump right into a impact role with the Stars this coming season. Heiskenen should be a lock for first or second paring defeseman along side John Kilingberg. Heiskenen should also see some power-play time this year. With the possibility of Benn, Seguin, Radulov, Klingberg and Heiskenen all on the same power-play unit, it could form one of the more dangerous tandems in the NHL. 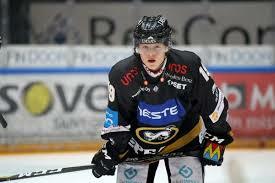 The jump to the NHL is usually a little tougher for defenseman, but Heiskenen should fair well this season. The weight will be on his shoulders to produce right away, however he the skill set to live up to the hype. The time will never be better for Radek Faksa to prove that he is a second-line center in the NHL. With Martin Hanzel being out for at least the next couple of months and Jason Spezza seemingly regressing to a third/fourth line center role, Faksa’s only real competition for the second line center position would be Mattias Janmark, who out scored Faksa by one point last year. Faksa was originally drafted back in 2012 with the 13th pick in the first round. 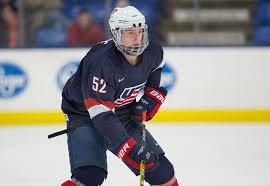 It took Faksa a while to make the jump to the NHL, not making his NHL debut until the 2015-16 season. Faksa had a tough time in the AHL as he was often injured, hampering his chances at developing into an NHL player Since getting the chance to play in the NHL Faksa has remained healthy and looked pretty good in his first two full years as a NHL pro. Should Faksa win the second line center role, he should see playing time Valeri Nichushkin, which would give him the opportunity to enhance his stats with a skilled winger by his side. One could argue the Jason Spezza has already regressed. However it seems he may be in for an even bigger dip in production this season. Spezza is currently 35 years old and has been seeing his production drop off the past couple of years. Spezza hit the 26 point plateau last season, after hitting 50 in 2016-17. Spezza has slown down since coming to Dallas, and with the game speeding up he simply can’t keep up anymore. With half of his goals and nearly half of his assists coming on the power-play, and with third or fourth line minutes more than likely coming this season for Spezza, he may be reduced to a power-play specialist with his limited ice time. Dallas will be one of those close teams again, but will once again fail to make the post season, by 10-12 points. With the Centeral Division being as tough as ever it will be, and a way improved Pacific it will be extremely difficult for Dallas to get in. Unfourtanlty the Stars with scoring depth still being an issue, a defensive core that has nice peices but is unprooven and a goalie that has a history of injuires, it seems the Stars will be on the outside looking in come playoff time. 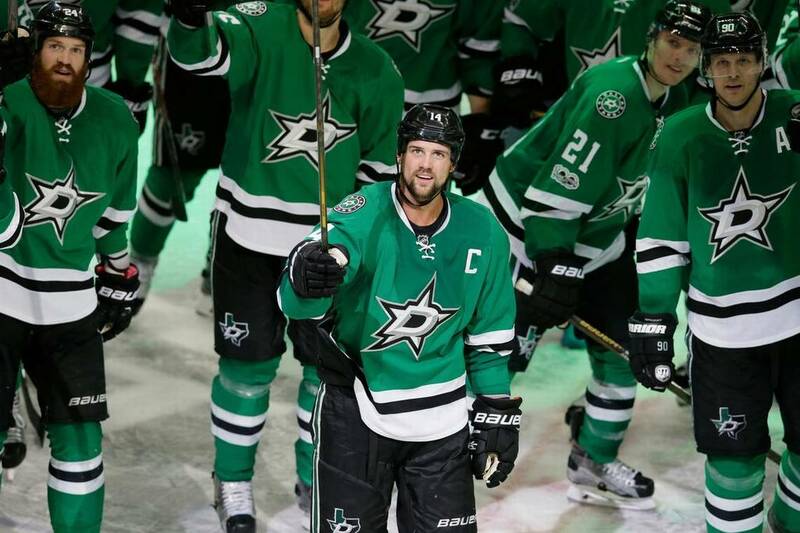 The Stars need more identity than just being lead by three or four guys every year. Yes, Seguin and Benn will always produce as long as they are together baring injuries. It is the rest of the team though, the uncertainty of others stepping up in key situations will be Dallas’ downfall this coming season. Dallas has most of the pieces to be a Stanley Cup contender, it will be putting the pieces together that will be the challenge for Dallas going forward. I’ll get to the Eastern Conference in a second, but for now, I want to focus on the Western Conference where it appears that there are as many as 15 organizations who are coming into this season with a “playoffs or bust” mentality. Notice that I used the word “organization” instead of “teams”. 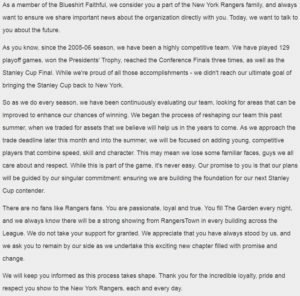 Obviously, the players in the room are going out trying to win every single night, but it isn’t that hard to see which organizations are more focused on the future, than the upcoming season. NASHVILLE PREDATORS: They led the West with 117 points last season and there’s no doubt that they’re going for it. 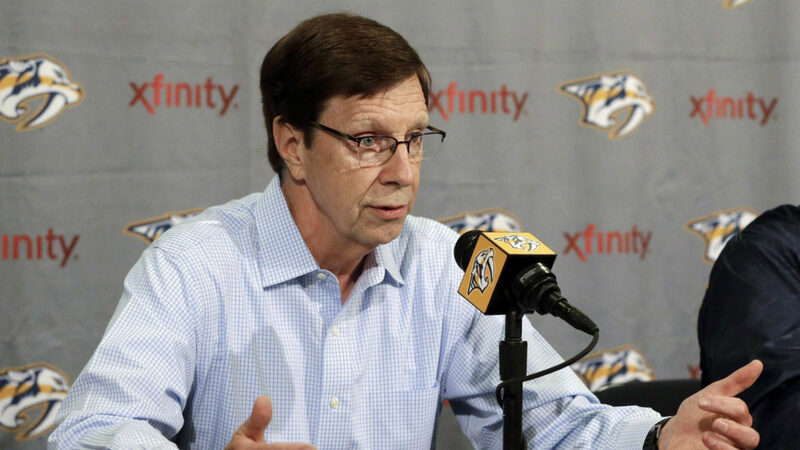 With over $7 million in cap space, I could even see David Poile make another move before the season starts. WINNIPEG JETS: Yes, they lost Paul Stastny, but the rest of their young core is still in-tact. They didn’t make any big additions, but it’s more-or-less the same roster that delivered last years 114 point season. It’s clear what their intentions this year are. VEGAS GOLDEN KNIGHTS: The biggest surprise in sports last year went out this offseason and brought in Paul Stastny and Nick Holden. They lost David Perron and James Neal, but they still have decent depth on the wings. It still sounds weird to say, but anything less than the playoffs for Vegas would be disappointing. MINNESOTA WILD: With a new GM at the helm, I was expecting big changes to the Wild’s roster this summer. That didn’t happen. It’s still the same team that finished fourth in the West last season. If they don’t make it this year? Then we could be looking at a roster overhaul. ANAHEIM DUCKS: Getzlaf, Perry, and Kesler are only getting older but they do have some really nice young pieces who could take steps forward this year. They’ll be leaning on the likes of Rakell, Montour, Silfverberg, Kase, and Ritchie more than ever this year, but it’s obvious that the organization has playoff expectations. SAN JOSE SHARKS: They missed out on John Tavares, but locked up Evander Kane and brought back Joe Thornton. Playoffs have been the standard in San Jose for close to a decade, that isn’t changing this year. With only 5 forwards under contract for 2019-20 though, a disappointing year could lead to some big changes. LOS ANGELES KINGS: All three California teams are in similar spots. While they all have some nice young pieces, their cores are aging. LA is another example of that. Their window is closing, and with the acquisition of Ilya Kovalchuk, it’s clear that they won’t be satisfied with anything less than a playoff berth. COLORADO AVALANCHE: The Avalanche didn’t get a lot of attention for their breakthrough 17-18 campaign and that’s mainly because everyone was too busy gushing over the Golden Knights. They squealed thanks to a win in game 82 over St. Louis and had a good offseason as well. With a new goalie (Grubauer), some added depth (Cole and Calvert), and a young core that should take another step forward, it’s easy to see why the Avs have their sights set on taking another step forward. So those were the eight teams that made the playoffs last year, and it should be no surprise that they all expect to be right back in the big dance this season. The West gets interesting when you start looking at the teams that missed the playoffs last season. Almost every team that missed out last year, is in “playoffs or bust” mode. 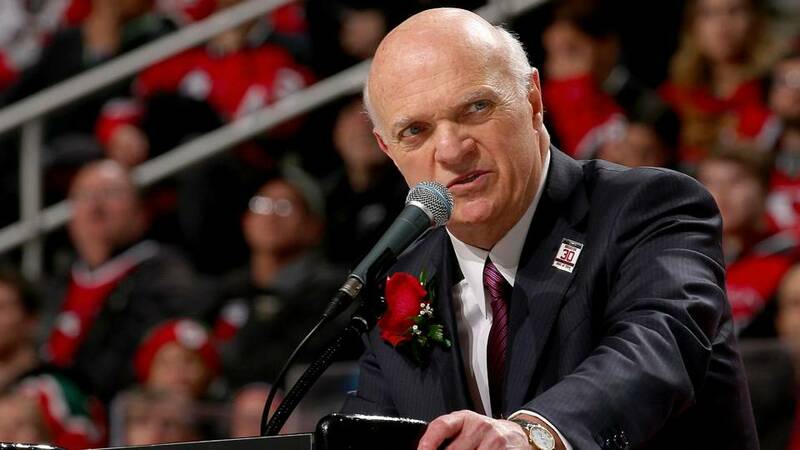 ST.LOUIS BLUES: After dealing Paul Stastny at last years deadline, there were reports that Doug Armstrong was making close to everyone available. Instead of selling off in the summer, he bought into his current core. They gave their forward core a facelift by adding Ryan O’Reilly, Tyler Bozak, Patrick Maroon, and David Perron. If the playoffs don’t happen this year, jobs will most likely be lost. DALLAS STARS: Many thought the Stars would be a juggernaut last season after they had added Martin Hanzal and Alex Radulov. They missed the playoffs last year and you’d imagine that a second straight miss for a team with the amount of skill that the Stars have, someone will have to pay the price. CALGARY FLAMES: Glen Gulutzan and Brian Burke got the ax after the team underperformed last year, only winning 37 games. They made a big splash acquiring Noah Hanifin and Elias Lindholm in exchange for Dougie Hamilton and Michael Ferland. They also signed James Neal, which should give their offense a much-needed boost. Goaltending still worries me, but there incredibly improved and should be right there in terms of the playoff picture. EDMONTON OILERS: No playoffs this year will likely mean the end for both Peter Chiarelli and Todd McLellan. They didn’t do a lot to improve their team this summer, instead, they’ll be relying on some bounce-back performances and better special teams. They’re good enough to make the playoffs, they just need to live up to their potential. There isn’t an organization with more on the line than Edmonton. CHICAGO BLACKHAWKS: Did I say no one has more on the line than Edmonton? I lied. After missing the playoffs for the first time in almost a decade, there were rumours that the Hawks would be making huge changes. They have a core that appears to be getting close to its expiration date, and they didn’t do a lot to change that this summer. Still, they have a tonne of skill and they know how to win. A healthy Corey Crawford will go a long way to helping them rebound, but if the Hawks miss this season, it could lead to the dismantling of a dynasty. ARIZONA COYOTES: Clayton Keller is going to be a superstar, Oliver Ekman-Larsson already is, and Antti Raanta was one of the best goalies in the league once the calendar flipped to 2018. The pieces are there in Arizona, and it might sound surprising, but this is a team that could shock a lot of people in 18-19. When they say their goal is to make the playoffs, you better believe they mean it. That’s 15 teams who will be playoff contenders. Only eight will get in and that means seven teams will be mightily disappointed. Now you might be thinking “well there are 16 teams in the Western Conference. What do you mean only seven will be disappointed?”. Well, that brings me to the Vancouver Canucks. Brock Boeser and Bo Horvat are fantastic young players. Quintin Hughes will be one day as well, and I’m very high on Jonathan Dahlin and Elias Pettersson as well. The bottom line is that they will not be remotely good enough for the playoffs this year. Coming dead last and getting the first overall pick would be fantastic for this organization and I’m pretty sure they recognize that, even if they won’t admit it publicly. The West is clearly jam packed and it should make for a fantastic 2018-19 NHL season. It’s no secret that upcoming free agent John Tavares has been meeting with teams this week in LA. Five to be exact; The Leafs, Bruins, Sharks, Stars and Lightning as well as phone calls with at least three other teams. 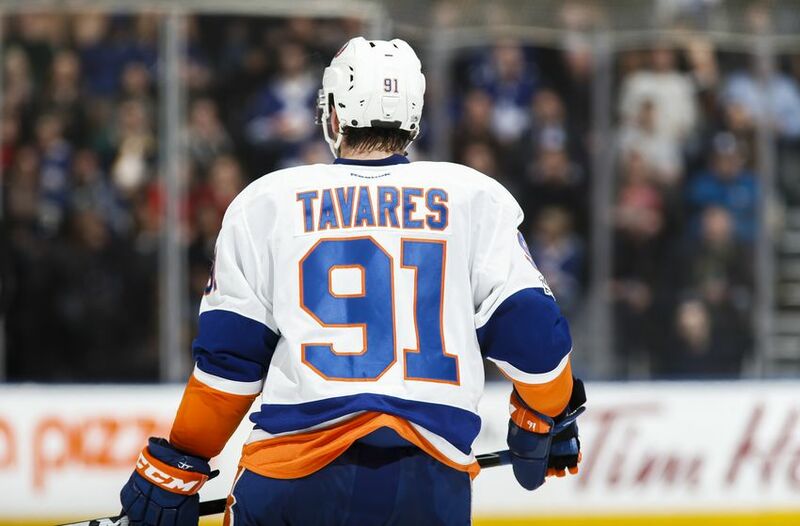 Each team will present a different package to Tavares, who is the most coveted free agent on the market. Who Could Make The Biggest Splash at The Draft? Last year, the expansion draft ruled all of the offseason talk and honestly, there weren’t as many moves as most had expected or hoped for. 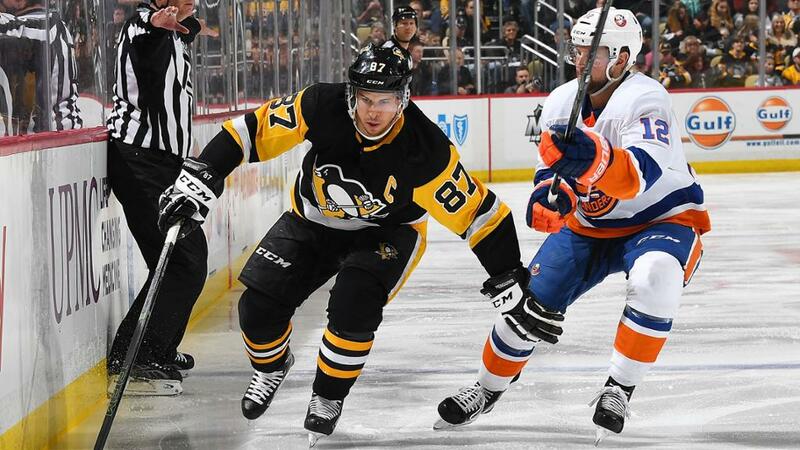 This year, with names like Tavares and Carlson poised to hit the UFA market and players like Ryan O’Reilly, Phil Kessel, and Erik Karlsson on the trading block, things could get wild. July 1st. It’s a day where teams either begin the journey to salary cap hell by luring players from other organizations with ludicrous contracts or it’s the day when GM’s find a missing piece that they grab without giving up any assets. Every year, we see players that never quite look comfortable in their new homes and some that fit right in. I took a look back at this year’s free agent class and found the three free agent signing I liked the most, and three that aren’t working out at the halfway point of their first season. 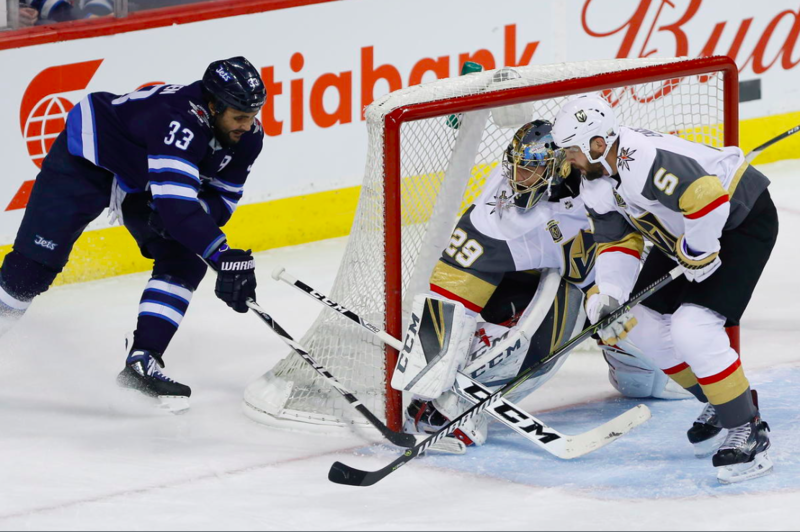 What’s the ceiling for this Winnipeg Jets team? For this year, I think they could not only make it to the playoffs, but they could do some damage once they get to the big dance. You could go read a magazine or go to major websites for season previews… but then it’s the same thing that tens of thousands of people read. So here is the start of my unique division by division season previews, which get you set for upcoming NHL season. I get the sense that Jim Nill isn’t a very patient man. After the team saw their point total slip by 40 last season, their GM went out and solved their goaltending problem, solidified their d-core and just for fun, added a few more solid offensive pieces. They added a laundry list of impressive names to a team that already featured Benn, Seguin, Klingberg, and Spezza. This team has a plethora of high-end skill, especially down the middle, where I don’t think there’s a team in the league that can match them. Seguin-Hanzal-Spezza-Shore is a terrific group and should be able to carry this team to a fantastic regular season. Are there worries? Yeah. I don’t love their depth on the wings or on the back end, even though they are improved. Maybe that’s something they can look to add at the deadline, although they don’t have cap space as of now. Regardless, I’m feeling bounce-back performance from the team in Texas and their off-season moves back up that feeling. I did not like their offseason. The Scott Hartnell reunion is a nice story, but he is not the player he used to be. They also paid a lot for Nick Bonino, a player who I question can be a competent second line center. 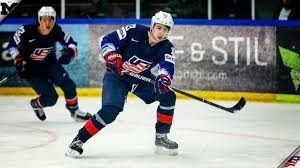 He’s never cracked 50 points and his GF% drops 11% when he goes from mid-level competition to elite competition (via puckiq.com). I don’t think he’s a good second line center. So then why do I have them so high? Well, they still have Pekka Rinne and one of the best group of defensemen in the league. 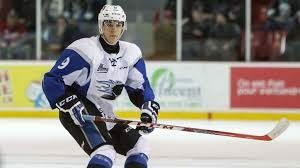 We also just witnessed some breakthrough performances during the playoffs and I believe guys like Freddy Gauthier, Colton Scissions, and Pontus Aberg are ready for full-time NHL duty. The injury to Ryan Ellis stings, but again, their depth is incredible and I have full confidence they can survive the few months without Ellis. If there’s an x-factor, I’d say it’s Ryan Johansen. Fresh off a big extension that pays him like an elite #1 center, he’ll need to produce more than the 14 goals & 47 points he got in 82 games last year. Despite seeing declines in their point totals the last 3 years, I expect the Preds to have a strong season in a tough central division. They couldn’t keep pucks out of their net. That was the only reason this team didn’t find any success during the regular season. They finished 7th in goals for and the difference between their goals for per game and goals against per game was just (0.11). To put that into perspective, only one other non-playoff team in the west had a better differential, that was the LA Kings at (0.02). Simply put: the Jets had a really solid regular season last year, their goaltending was just horrendous. They went out and improved their goaltending situation by grabbing Steve Mason, who should be a little more stable than Pavelec/Hutchison were as backups. The addition of Mason, combined with a more experienced Connor Hellebuyck should help drop that goals against per game number. They also went and added Dmitry Kulikov, who does have holes in his game but is an upgrade on Paul Postma. Combine that with a group of forwards that’s deep, highly skilled and only getting better, I think the Jets have a winning team and have no problem slotting them into a playoff spot. The Wild went all in last year, paying a king’s ransom for Martin Hanzal at the deadline. It didn’t work out, but they still have a pretty solid core intact. Their solid wing depth is still there, and while I worry about their depth down the middle, maybe someone like Joel Eriksson Ek can thrive playing on a line with someone like Zach Parise or one of their other skill guys. Their solid wing depth is still there, and while I worry about their depth down the middle, maybe someone like Joel Eriksson Ek can thrive playing on a line with someone like Zach Parise or one of their other skill guys. Their solid d-core and Devan Dubnyk should leave them looking good in their own end. If there is one concern I have it’s a lack of that superstar presence, someone who can be a game-changing presence on offense. Is Mikael Granlund that guy? His point total increased by 25 last year, so will we see another big step forward? If they get some big performances, which I expect they will, I have no doubt about the Wild being a playoff team. That’s a long list of departures from the Windy City, and the new names are honestly quite underwhelming. Just looking at their offense, they essentially swapped out Hossa and Panarin for Saad and Sharp. I understand the cap relief element of things, and they got a great deal with Sharp, but the bottom line is they got two players who produce less than the players they now have. The combined GF/60 of Hossa and Panarin is 4.9, while that number for Sharp and Saad is 4.3. On defense, they lost their second best dman in Nik Hjalmarsson and two good supporting players in Van Riemsdyk and O’Duya. To replace them is 27-year-old rookie Jan Rutta and Connor Murphy. Another sizeable step back. They also lost Scott Darling, who was an outstanding backup. Berube should be fine in that role, but it’s another step back, even if it is small. Now despite getting worse in all three areas of their roster, they still have a good chunk of their core so they should stick to the playoff picture. Their depth isn’t god either so one big injury could really put them in a hole. The flip side of that, they have some good young players. If Debrincat, Schmaltz, and Murphy can prove their solid NHL players early on, there is some potential for the Hawks to challenge for the division. Just going off their roster right now, gotta slide them lower than others may have them. In a division as close and deep as the Central, you need to always be improving. The Blues didn’t do that. 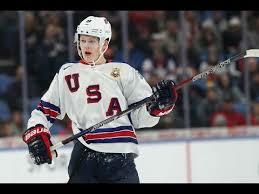 It may be a storyline for a few years, but they still don’t have an elite centerman to play with Tarasenko. Schenn is good, but he isn’t a top line center. They’ve seen a decline in points over each of the last 4 seasons (111-109-107-99) and with a slew of their direct competition making serious strides forward, the Blues may be the odd team out. They didn’t get any help from the schedule makers either, playing 6 of their first 9 on the road. A bad start can really set a team back, and again, in a division as loaded as the Central, a bad start could ruin your season. If there’s a bright side, they should still have strong special teams (PP = 8th & PK = 3rd). A solid 60-65 starts from Jake Allen would also help. They have some cap space heading into next offseason with Paul Stastny coming off the books, so maybe a high pick and a little reset heading into 19/19 wouldn’t be the worst thing for the franchise. It’s hardly a hot take to predict the Avs to finish in the basement, but it’s difficult to expect an organization that’s as lost as them to bounce back from a historically bad 16/17 season. I liked the 3 additions they made over the offseason, all are essentially no risk and could pay off, but they didn’t get any better. Losing Beauchemin and Pickard won’t exactly help them gain points in the standings. Joe Sakic also, to this point, failed to deal Matt Duchene despite everyone in the hockey world knows it’s coming. I don’t think this is exactly a very inspired group of guys heading into the new season so expect the same old, same old from the Avs. 1 – Dallas – Loaded up this offseason, filled almost all their holes. 2 – Nashville – Not a good offseason, but are still built like a Cup contender. 3 – Winnipeg – So much potential, goaltending looks better. 4 – Minnesota – Lost some decent players, no one too crucial. Another playoff appearance. 5 – Chicago – Every aspect of their team got worse. In the playoffs, but barely. 6 – St. Louis – Don’t think they’re good enough to take out Chicago for final WC spot. 7 – Colorado – Dumpster fire. Going to pick high in next years draft. Dahlin?